Ideal for school classrooms and libraries this kinderbox book storage unit has 4 compartments to fit picture books. 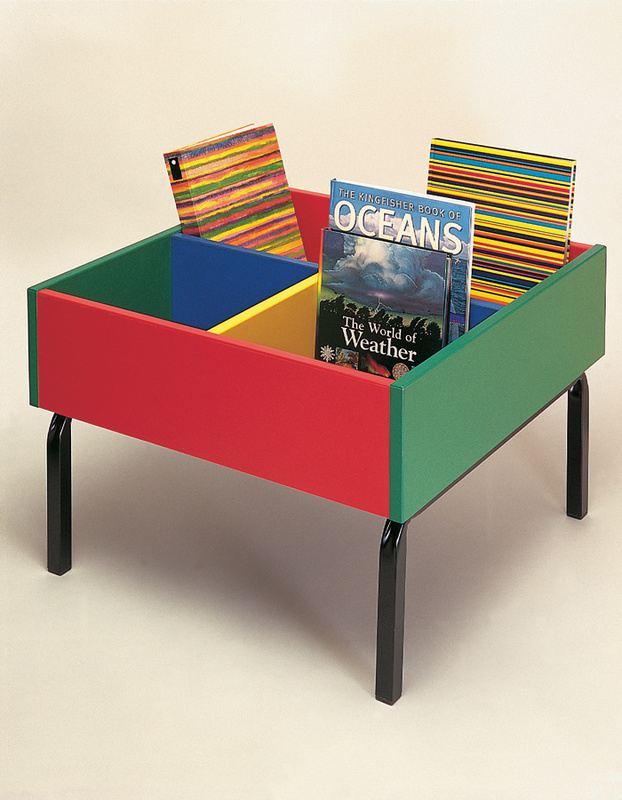 This kinderbox comes is a range of colours and with a black or white crushed bent 18 gauge steel tube frame. It is delivered fully assembled. 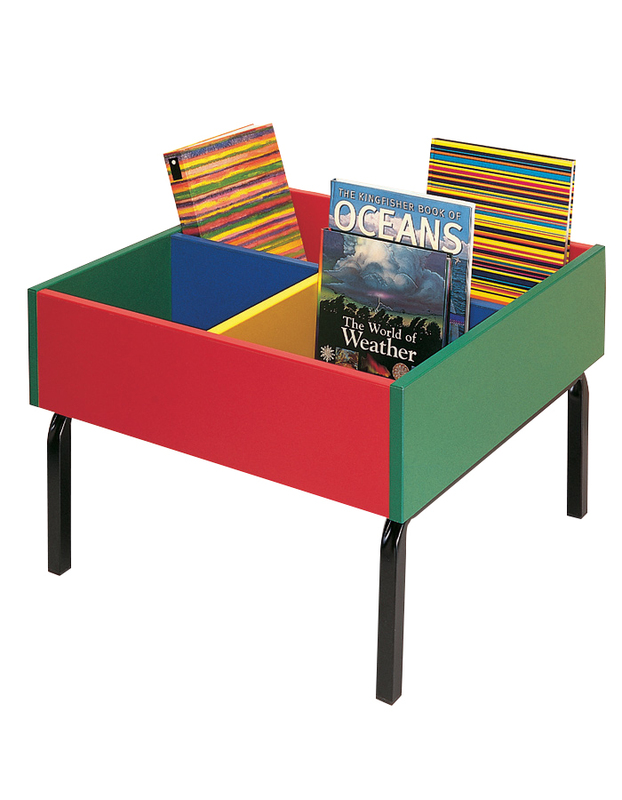 We offer a wide range of library furniture including kinderboxes. For more information please Contact Us or call us on 01733 511121.